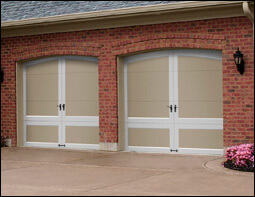 Garage Door Services Inc. is the leader in garage doors and related services in Greenville & Spartanburg Counties in South Carolina. Whether you are a homeowner looking for a new garage or entry door, or a business owner looking for a more industrial overhead solution, we can help. Our experienced staff of sales and service professionals will use their expertise to help you find a quality door that not only fits your personal style, but fits your budget as well. The garage door is the largest moving object in your home. The safety and security of your property and your family is of utmost importance. We provide free estimates on garage door repair, specialize in broken torsion spring, roller replacement, and offer same day emergency service. 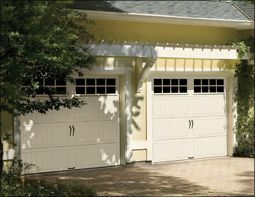 We also carry a full line of commercial and residential openers so that all of your garage door needs are found under one roof - at Garage Door Services. With a combined 20 plus years of experience, you can be assured that Garage Door Services Inc. will meet your every garage door need. We welcome the opportunity to supply, install or repair your garage door, entry door, garage door opener or gate operator. We also can help troubleshoot any problems with your door over the phone for free and will be glad to answer your questions. Please visit our contact page to get in touch! 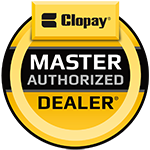 Garage Door Service Inc. is honored to be a Clopay Master Authorized Dealer®, dedicated to providing exceptional levels of professional expertise and responsiveness in sales, installation and service throughout Northwestern South Carolina & Southwestern North Carolina. Need Help with a Home Improvement Project? Visit our Home Specialties page to learn more.